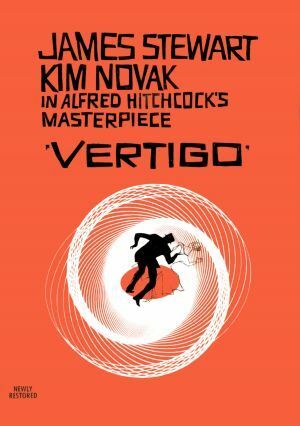 The Chapel Hill News has a preview article about an adaptation of Alfred Hitchcock’s 1958 film Vertigo (screenplay by Alec Coppel & Samuel Taylor based on the 1956 novel D’entre les morts [The Living and the Dead] by Boileau & Narcejac). The show is also the subject of a recent Daily Tar Heel article about Performance Studies at UNC-Chapel Hill. The new performance explores the use of theatrical techniques to produce filmic effects. It is written by UNC graduate student Lucius Robinson and directed by Joseph Megel (UNC, Process Series). Opening night is tonight, Thursday, November 12 @ 6pm and the show runs through November 21 at Swain Hall, Studio 6 on the UNC-Chapel Hill campus. Both events free and open to the public! Sponsored by the Teatro Latina/o Series, The UNC Latina/o Cultures Speakers Series, and the Carolina Latina/o Collaborative. Octavio Solis is a playwright and director living in San Francisco. His works John Steinbeck’s The Pastures of Heaven, Ghosts of the River, Quixote, Lydia, June in a Box, Lethe, Marfa Lights, Gibraltar, The Ballad of Pancho and Lucy, The 7 Visions of Encarnación, Bethlehem, Dreamlandia, El Otro, Man of the Flesh, Prospect, El Paso Blue, Santos & Santos, and La Posada Mágica have been mounted at the California Shakespeare Theatre, Mark Taper Forum, Yale Repertory Theatre, the Oregon Shakespeare Festival, the Denver Center for the Performing Arts, the Dallas Theater Center, the Magic Theatre, Intersection for the Arts, South Coast Repertory Theatre, the San Diego Repertory Theatre, the San Jose Repertory Theatre, Shadowlight Productions, the Venture Theatre in Philadelphia, Latino Chicago Theatre Company, the New York Summer Play Festival, Teatro Vista in Chicago, El Teatro Campesino, the Undermain Theatre in Dallas, Thick Description, Campo Santo, the Imua Theatre Company in New York, and Cornerstone Theatre. His collaborative works include Burning Dreams, cowritten with Julie Hebert and Gina Leishman and Shiner, written with Erik Ehn. Solis has received an NEA 1995-97 Playwriting Fellowship, the Roger L. Stevens award from the Kennedy Center, the Will Glickman Playwright Award, a production grant from the Kennedy Center Fund for New American Plays, the 1998 TCG/NEA Theatre Artists in Residence Grant, the 1998 McKnight Fellowship grant from the Playwrights Center in Minneapolis, and the National Latino Playwriting Award for 2003. He is the recipient of the 2000-2001 National Theatre Artists Residency Grant from TCG and the Pew Charitable Trust for Gibraltar at the Oregon Shakespeare Festival. 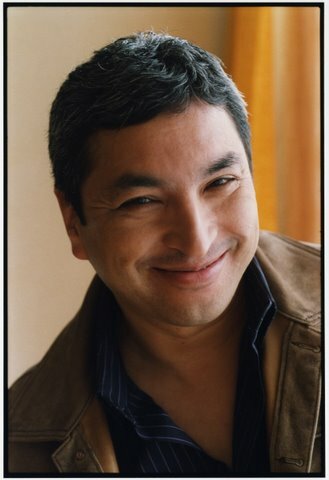 Solis is a Thornton Wilder Fellow for the MacDowell Colony, New Dramatists alum and member of the Dramatists Guild. His new anthology, The River Plays has been published by NoPassPort Publishing. He is working on commissions for South Coast Repertory Theatre, Yale Repertory Theatre, and the Denver Center for the Performing Arts. Performance and Embodied Research Colloquium is powered by WordPress at Duke WordPress Sites. Please read the Duke Wordpress Policies. Contact the Duke WordPress team.